Lacquer Lockdown: Release the Hounds: Pueen 2014 Stamping Buffet Plates Are Live On Amazon! 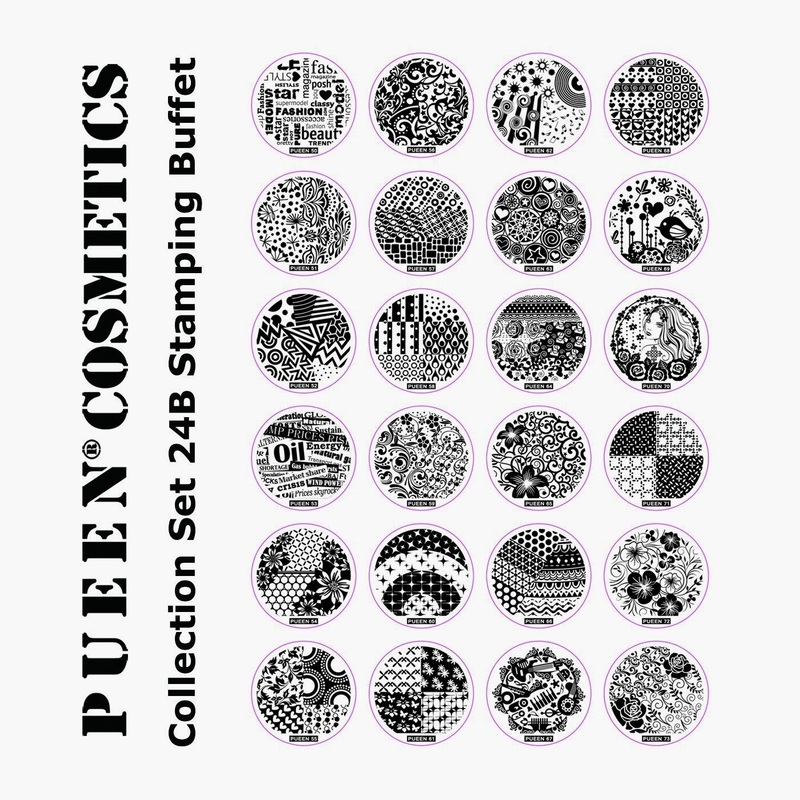 Release the Hounds: Pueen 2014 Stamping Buffet Plates Are Live On Amazon! Quick post just to let you know the plates are now live on Amazon. I also found out for my Canadian readers that Nail Polish Canada will be stocking these as well so sign up for updates. If you want to get the plates on Amazon act quickly because they have already sold out once today and then they put up 8 more! It's my understanding they have sold out on the Big Cartel Pueen site so this is likely the only source until they restock. Happy hunting darlings, nd see you next post! These were just delivered to me yesterday! I haven't tried them yet, but I have the other two sets from Pueen, and their quality has been excellent. I'm looking forward to giving them a go!